Do you know our pain? Do you know our hearts are breaking? Our childhood years with fun and games. Our adult lives sometimes brought pain. You were there when you were needed. Your love for us was all we needed. Now you're gone and we're still here. We'll miss you more each passing year. Our hearts are heavy filled with pain. We saw a rainbow bright and clear. We hope that means you're staying near. If we could have just one more day. We'd tell you all we didn't say. We'd tell you how we love you dear. And how we wish that you were here. And when our saddest days are done. One day we'll look and see the sun. Maybe see a bright blue sky. A river gently flowing by. Thoughts of you will ease our pain. we'll remember you and smile again. 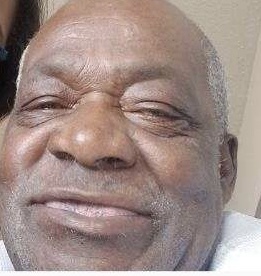 The Staff and Management of R. Swinson Funeral Services mourn with the family on the death of Mr. Leondus Farrow Sr., of Greenville, who passed away on Tuesday, December 4, 2018 at East Carolina Rehab and Wellness Center. Services will be on Sunday, December 9, 2018 at 1:30 PM at Mt. Pilgrim Baptist Church. Burial will take place in the Cox Cemetery. A public visitation will be held 1 hour before the service at the church.